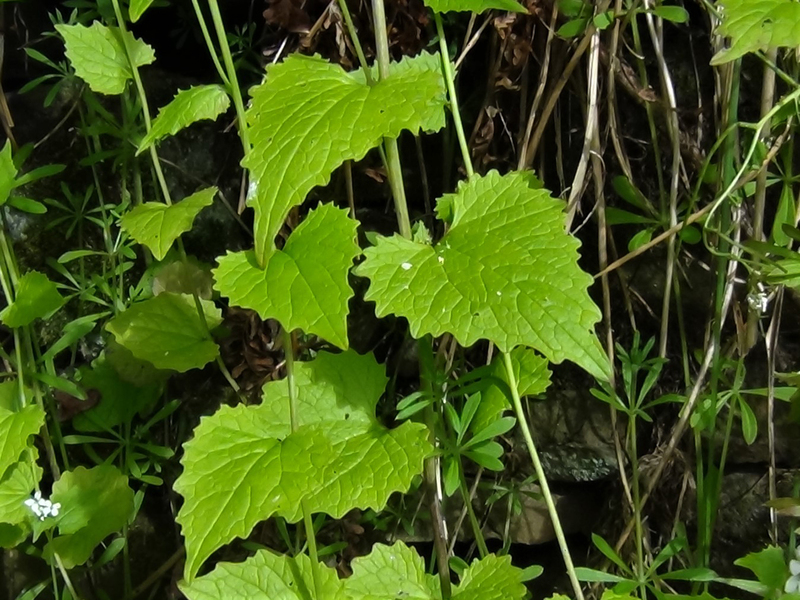 The basal leaves of hedge garlic. 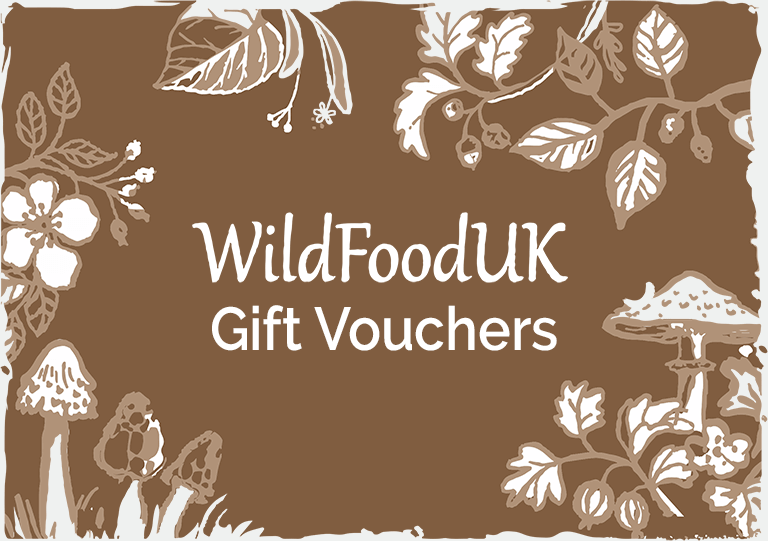 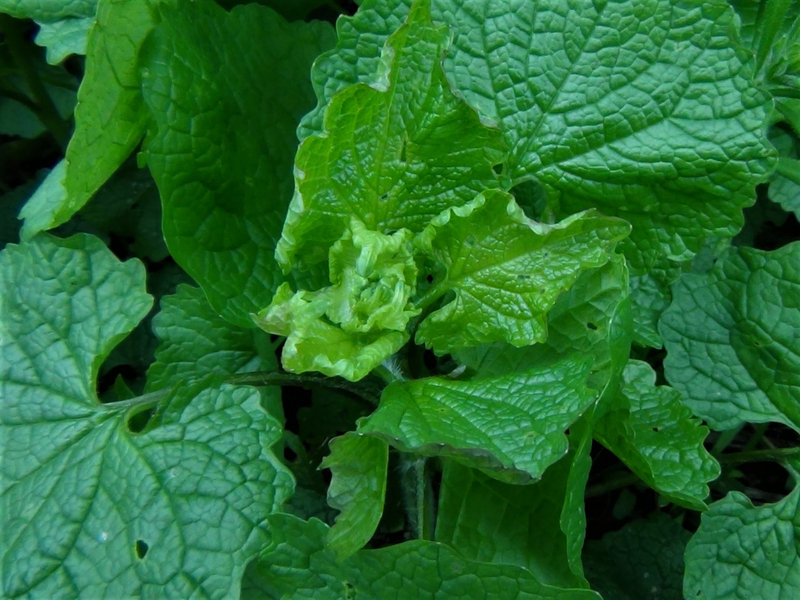 The plant contains a natural antifreeze so the over wintering rosette can be found and eaten even in the depths of winter. 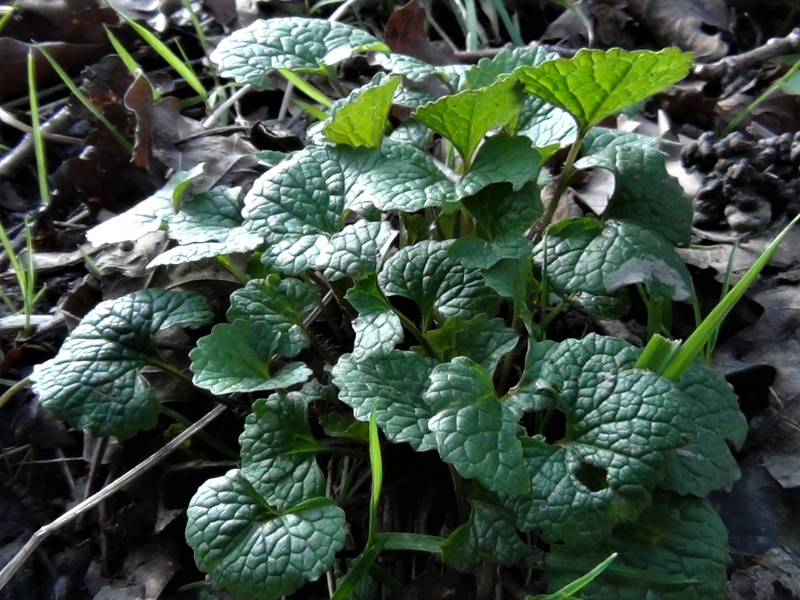 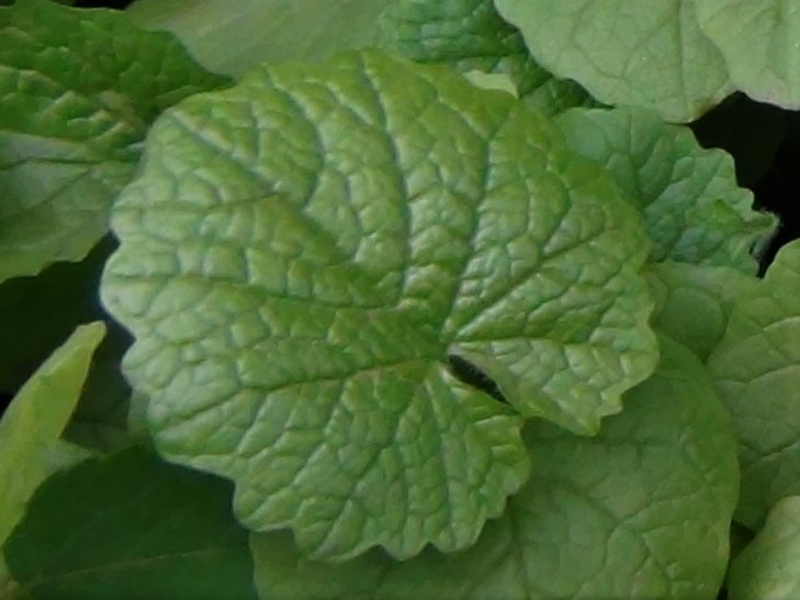 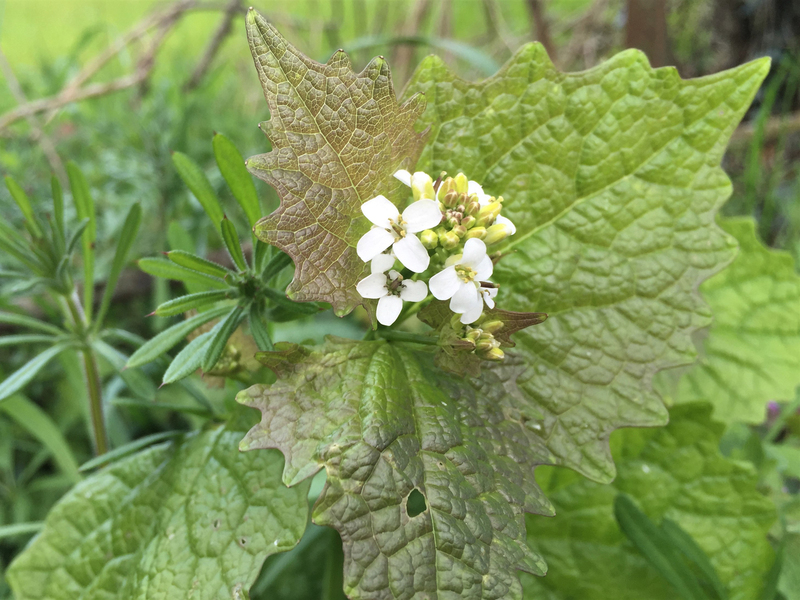 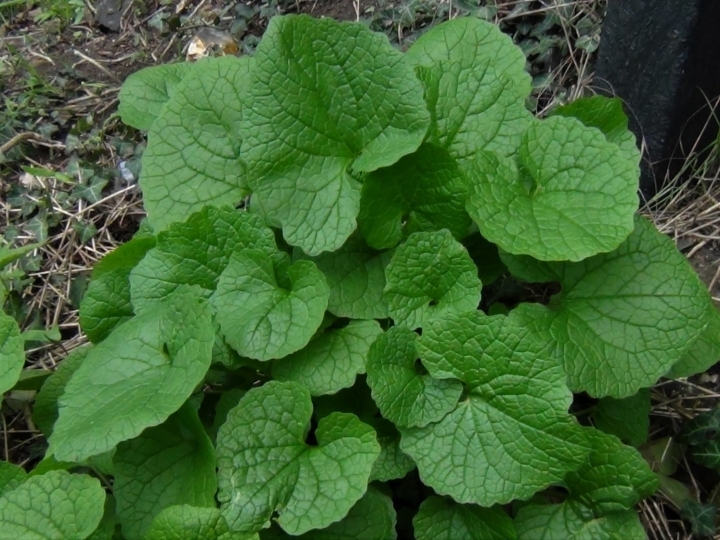 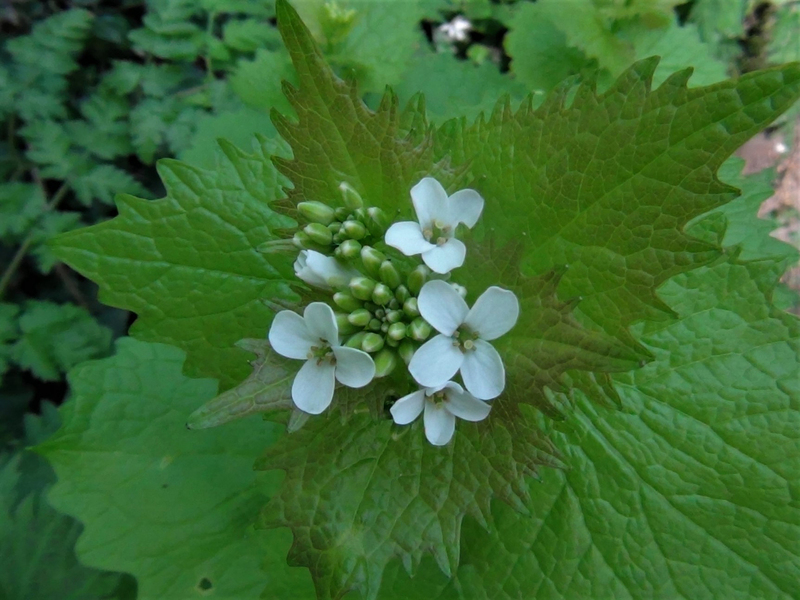 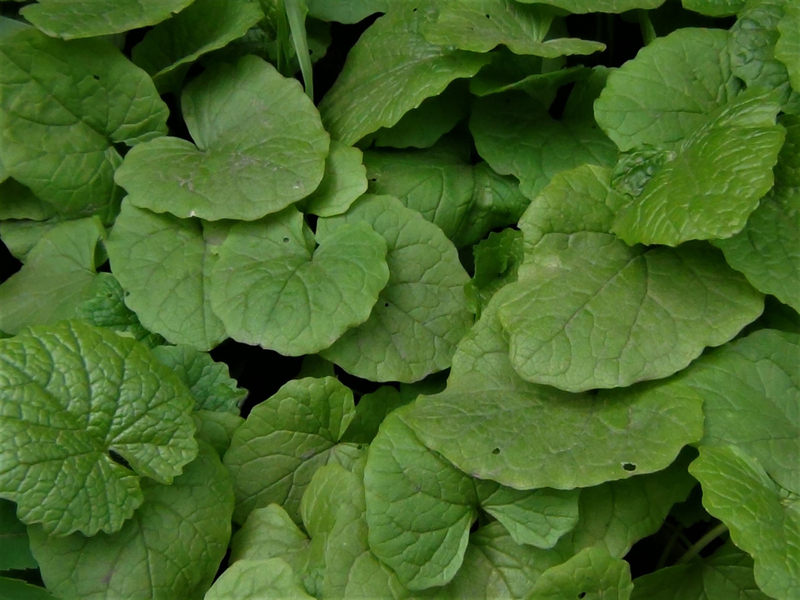 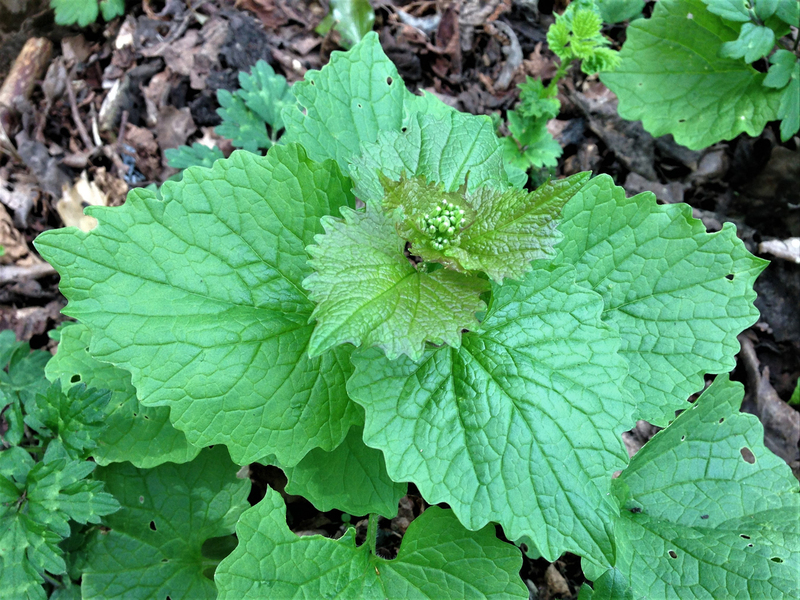 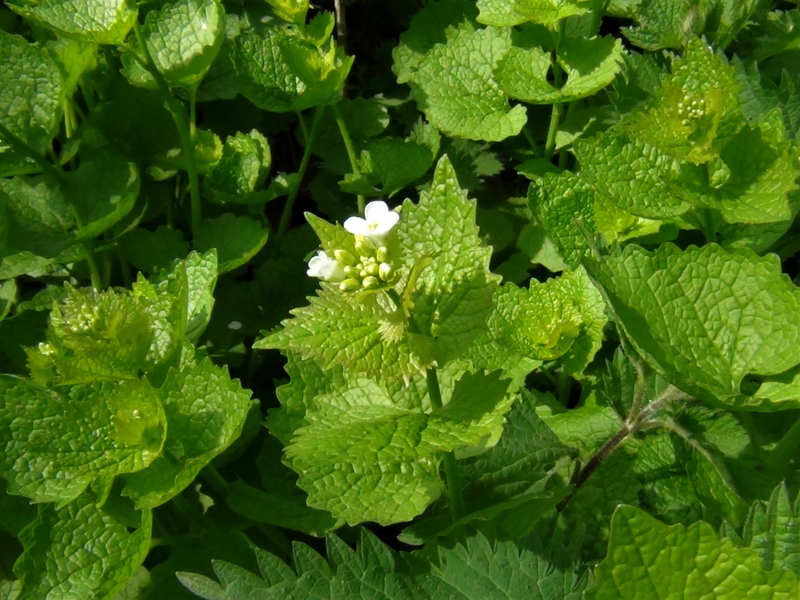 Hedge garlic is biennial and in its first years growth the leaves grow in a small, ground level rosette with broad heart shaped leaves. 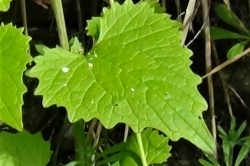 In its second year a spike grows from the rosette and the leaves are more arrow head shaped with serrated edges. 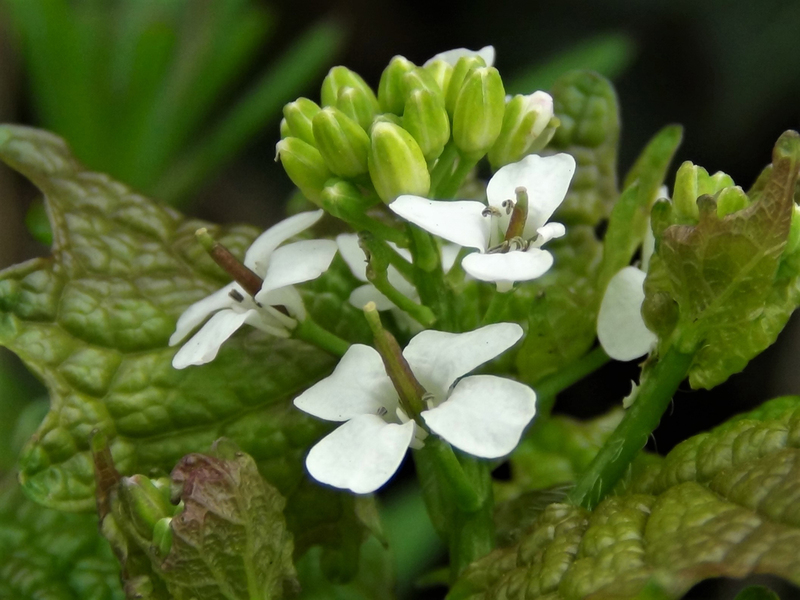 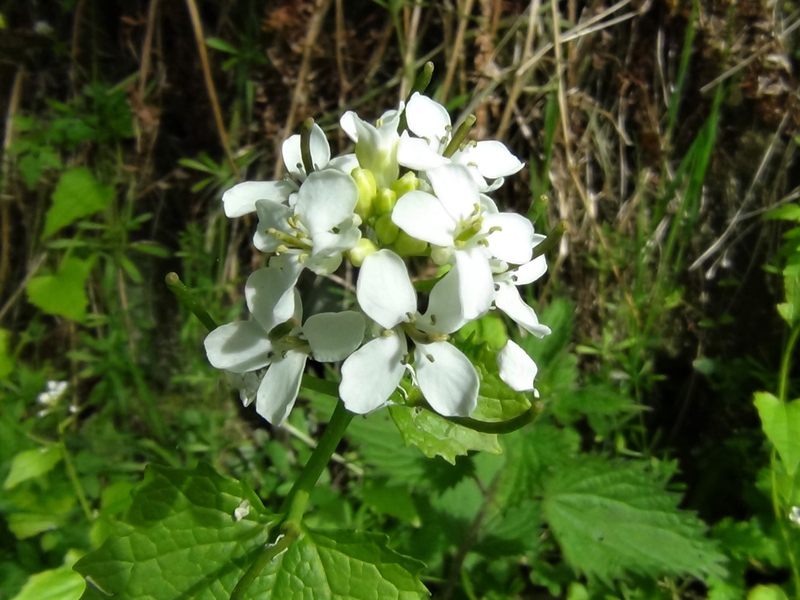 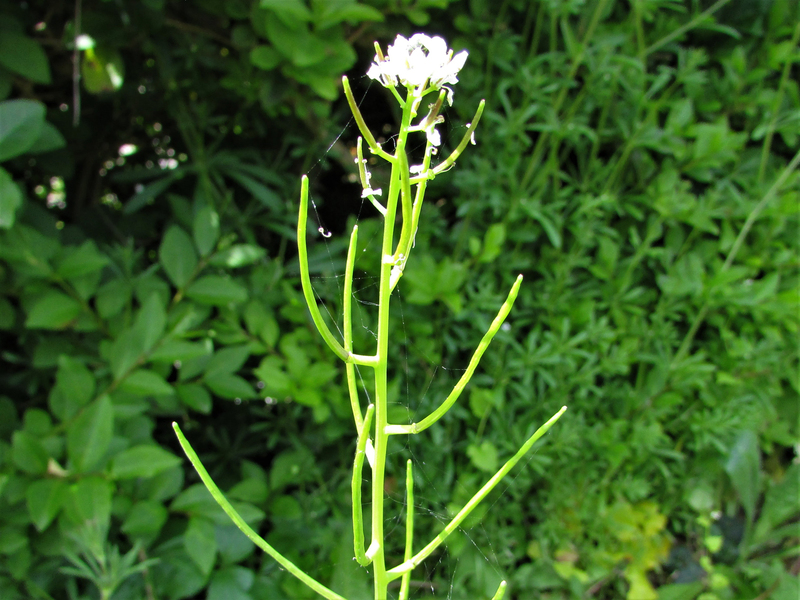 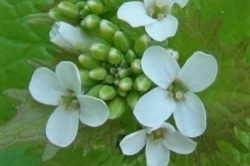 Groups of tiny, white, four petalled flowers grow from the top of the flower spike. 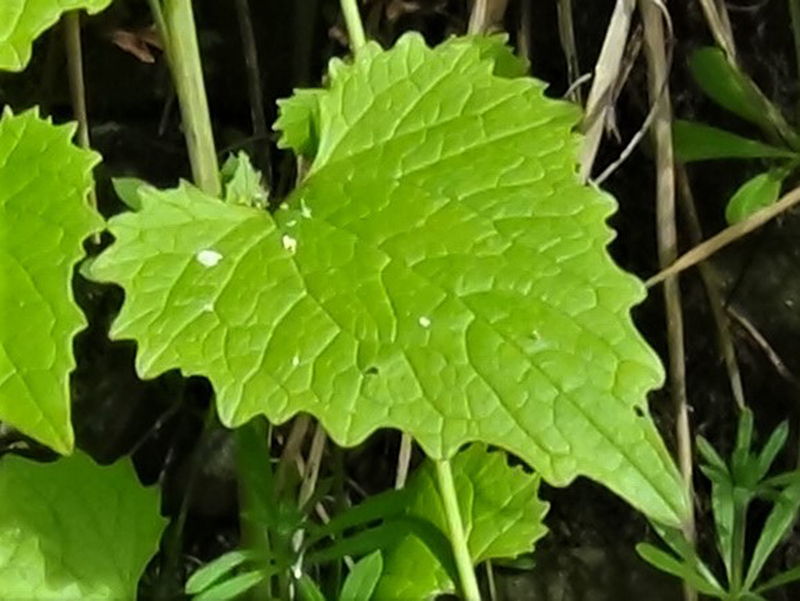 In its second years growth a flower stem grows vertically, up to one and a half metres, from the leaf rosette with flowers on the top leaving behind seed pods. 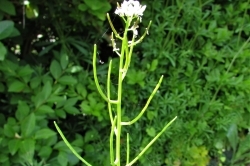 The seed pods are thin, green, erect and start to emerge from the middle of the flowers. 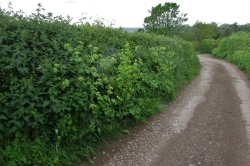 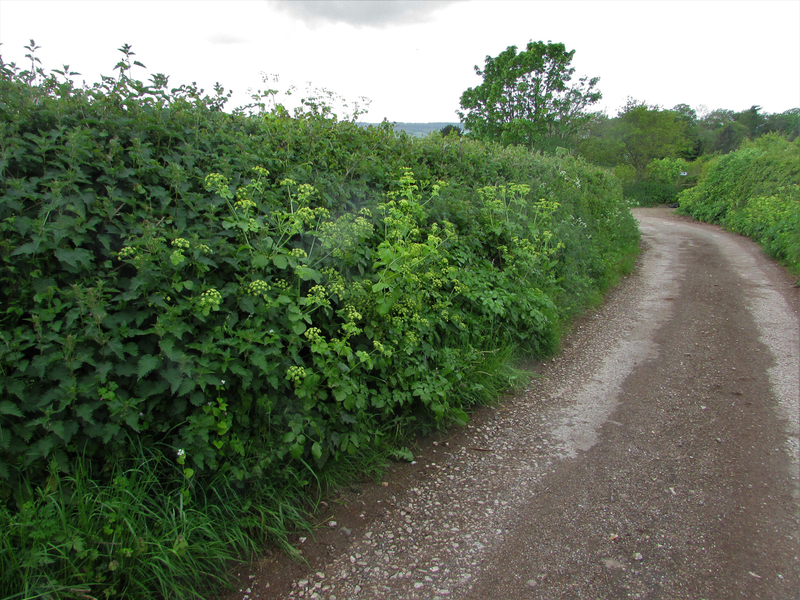 Hedgerows, woodland, shady scrub and path edges. 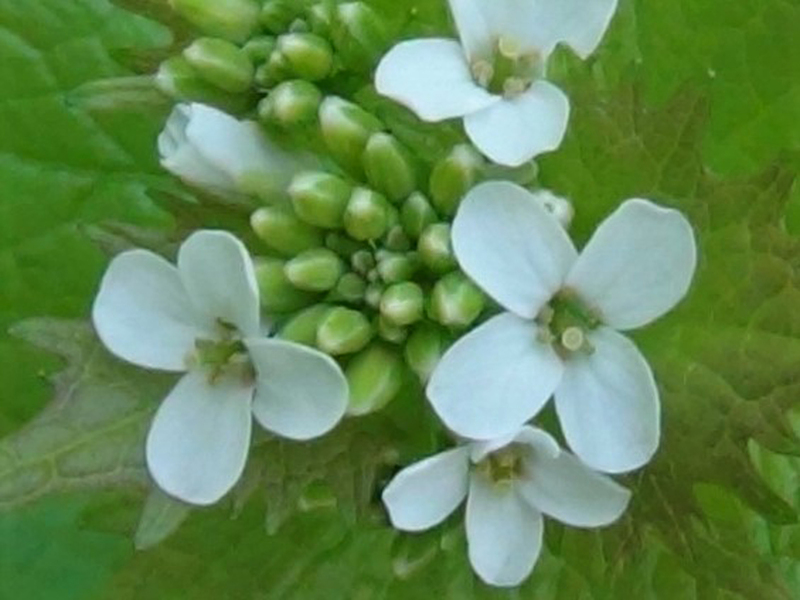 Once the flowers are out it is difficult to confuse with much else, the smell helps. 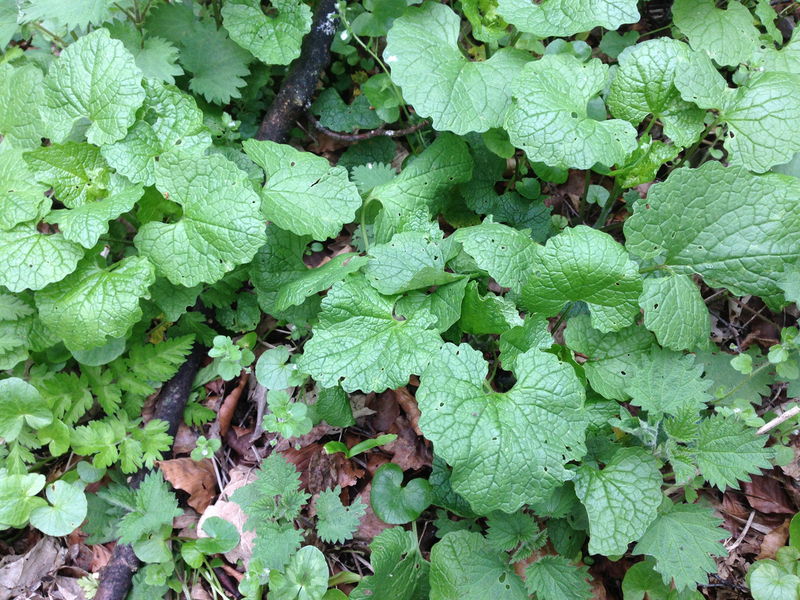 Mild garlic smell when crushed. 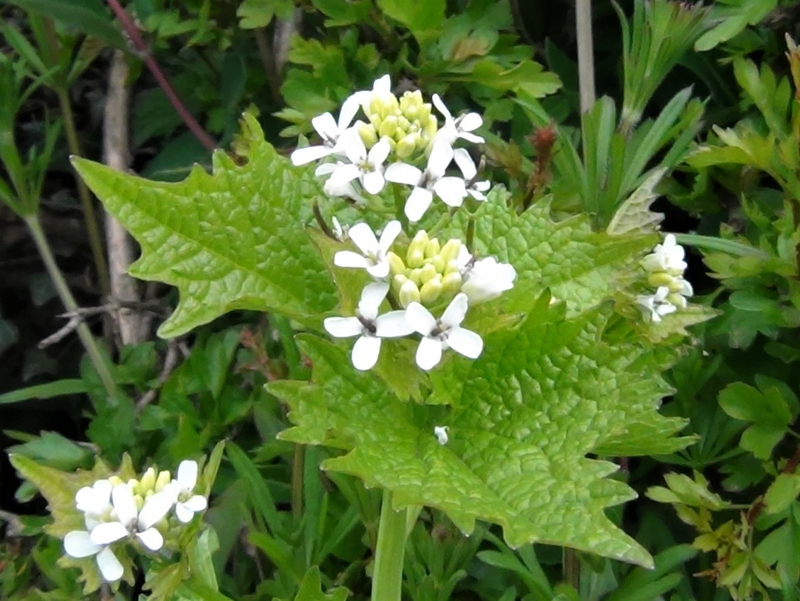 Mildly garlicy with a hint of mustard, this plant divides us as one of us thinks it has a horrible after taste the other enjoys this, it also splits opinion when we take out foraging groups but with the use of a tasty dressing, nobody seems to mind its inclusion in salads. 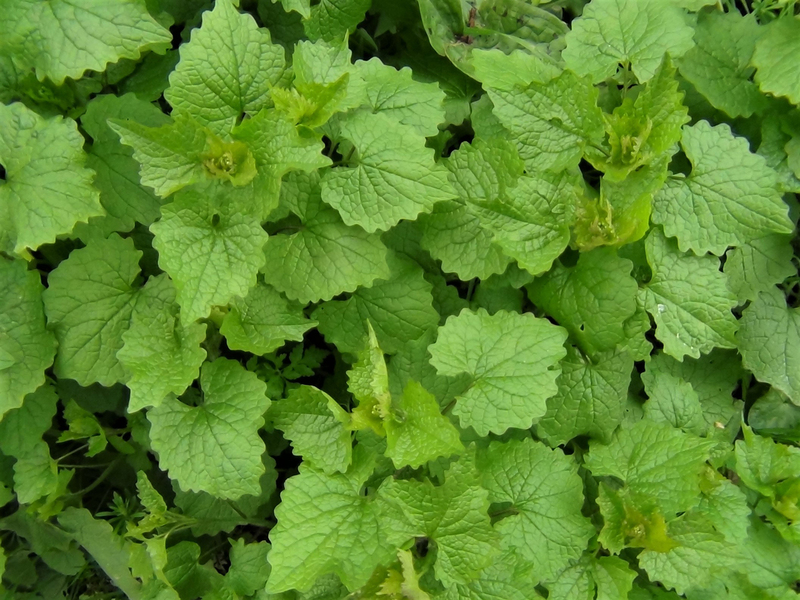 The young first years leaves or from the top of the plant in its second year are best and along with the flowers and flower buds help make an attractive and tasty salad. 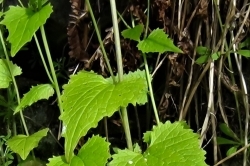 The seeds can be used as mustard. 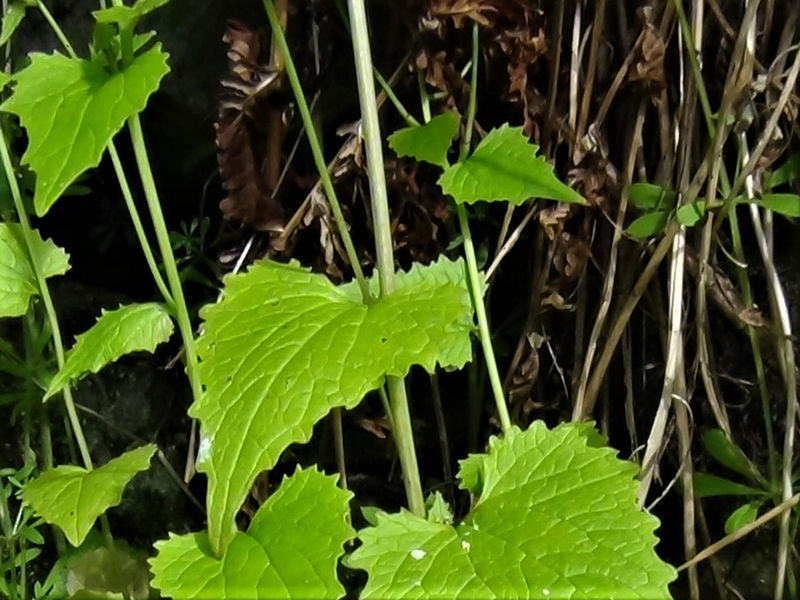 The roots at the end of the second years growth taste like mild horseradish. 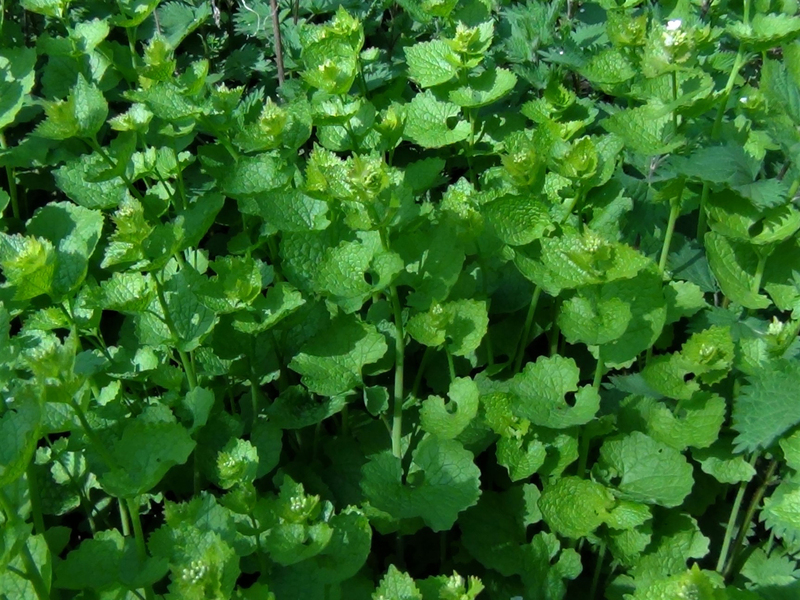 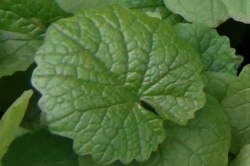 Said be used as a tonic to help asthma, rheumatism and gout it also has diuretic properties.